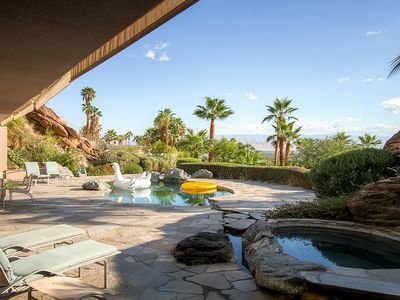 Live the lavish SoCal lifestyle in "Giraffe House," an awe-inspiring, 3-bedroom, 2-bath vacation rental home in Palm Springs. 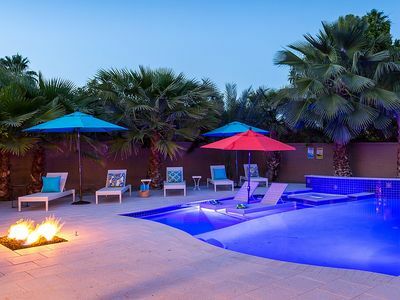 Located 10 minutes from downtown excitement and offering a color-changing saltwater pool, outdoor kitchen, fire pit, and sleeping accommodations for 6 guests, this modern home has it all. 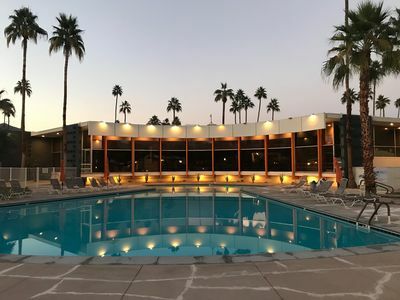 You'll also be a short drive from several acclaimed golf courses, 2 casinos, the hiking trails of Joshua Tree National Park, and more during your stay in this 1,560-square-foot sanctuary. 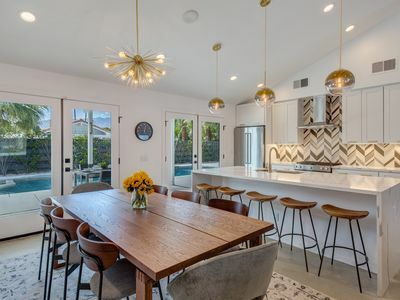 Offering an open floor plan, modern decor, and large windows, the home offers a unique combination of elegance and comfort. 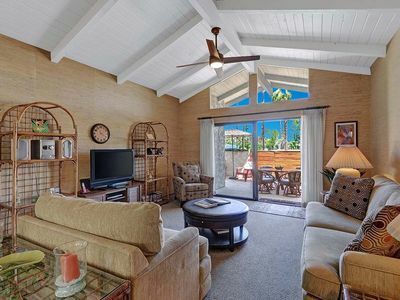 After a day in the Golden State sun, melt into the living room's large couch. 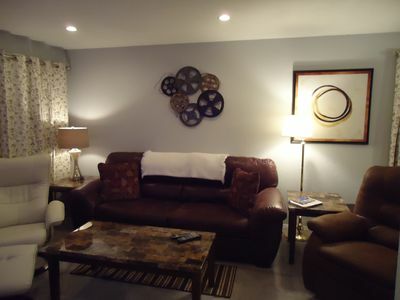 As you watch your Netflix favorites on the flat-screen Smart TV, you'll be flanked by large windows and original artwork. Your group's chef is sure to be impressed by the fully equipped kitchen. Boasting granite countertops and stainless steel appliances, you'll feel like an Iron Chef as you slice, sear, or sauté. The dining table for 8, located next to the electric fireplace is the perfect place to enjoy a memorable meal with loved ones. What truly sets this house apart is the backyard! 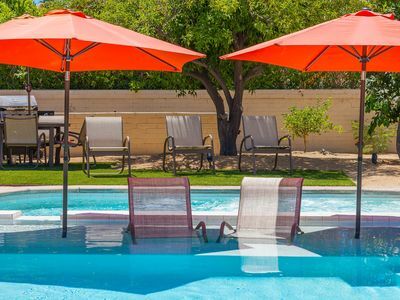 Whether you choose to make a splash in the color-changing LED saltwater pool, sip a drink near the cabana fire pit, cook burgers in the outdoor kitchen, or play bocce, you'll feel like you're at a celebrity pool party in this private outdoor oasis! The master bedroom offers a king bed, en-suite bathroom, and flat-screen Smart TV. Your little ones are sure to love their 2 twin beds just as much as you appreciate the luxury offered in the master suite. 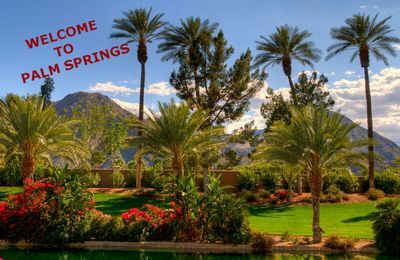 Be sure to check out Downtown Palm Springs during your stay. 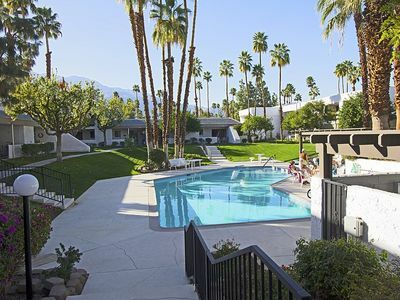 Home to a slew of galleries, stores, and events like the Palm Springs Film Festival, it's no surprise that the city attracts thousands of visitors each year. Channel your inner Tiger Woods at one of the area's many acclaimed golf courses. 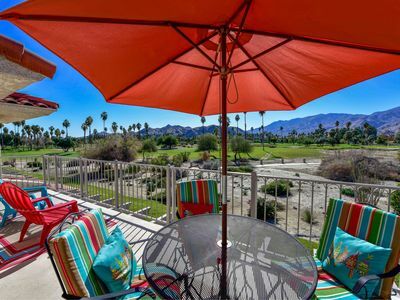 You'll find top-notch golf within minutes of the property at courses like the Mesquite Country Club and Cimarron Golf Resort. Less than 15 minutes down the road, Spa Resort Casino and Agua Caliente Casino await! These large resorts offer dozens of slot machines, table games, and even live entertainment. 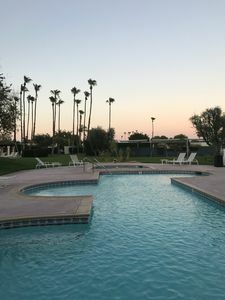 You'll also be just 23 miles from the Coachella and Stagecoach Music Festivals during your stay. If you prefer hitting the trails to hitting the slots, drive an hour to Joshua Tree National Park! This sprawling park offers some of North America's most unique terrain and well-maintained trails that are sure to impress. 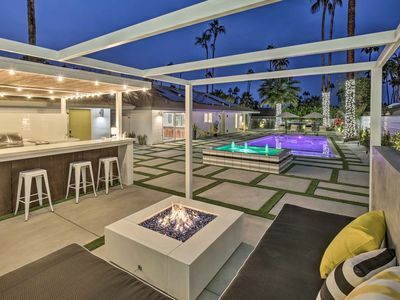 One-of-a-Kind Palm Springs House w/Private Pool! 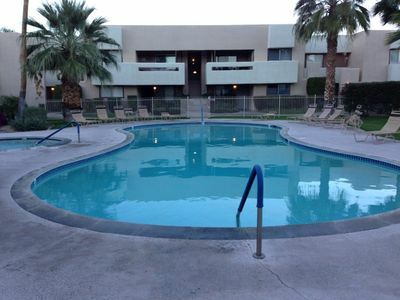 Beautiful Condo with Mountain View and Lush Gardens. Close to Major Attractions. 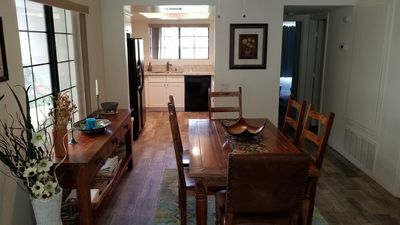 Beautiful condo, new kitchen, new patio! 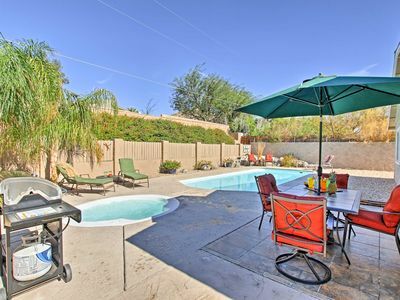 Desert Hot Springs Home w/ Private Pool & Hot Tub! 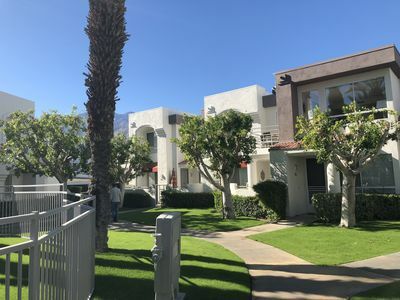 South Palm Spring, western views, great location!